ABUJA • Twelve senior officers are under investigation in an anti-graft probe, the Nigerian army said, as part of a wider investigation into massive corruption in Africa's most populous country. Army spokesman Sani Usman said in a statement on Thursday that the officers consisted of three serving major-generals, one retired major-general, three brigadier-generals, four colonels and a lieutenant-colonel. Media reports said former president Goodluck Jonathan's aide-de-camp, Colonel Ojogbane Adegbe, was among the officers. Colonel Usman said if found culpable after investigation, the officers would face a court-martial. OTTAWA • A Canadian man who disappeared 30 years ago is set for an emotional reunion with his family after he suddenly remembered his name, media reports said. Mr Edgar Latulip, whose mental age was that of a child, was 21 when he walked out of a group home in Kitchener, Ontario, in 1986, CBC News and other Canadian media reported. Mr Latulip, who had previously attempted suicide and was on medication, was never heard from again, and his mother feared he might have been murdered. That was until a man with a different identity living 120km away told his social worker last month that he thought his real name could be Edgar Latulip, after he had flashbacks. A DNA test confirmed his identity. 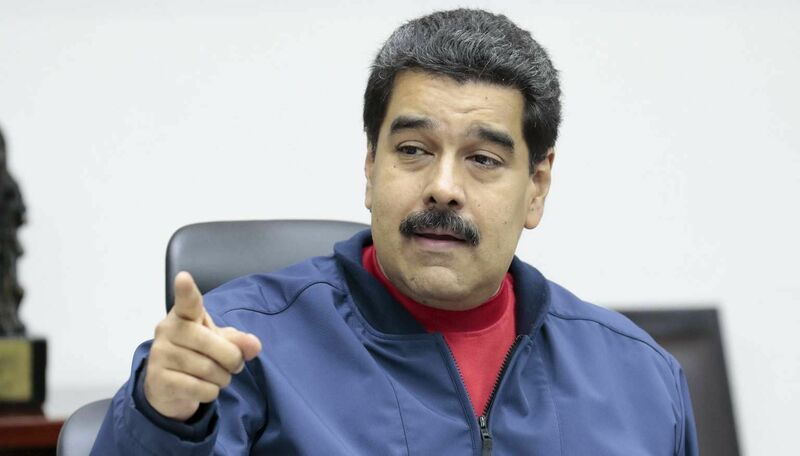 Mr Maduro's decree includes wider executive powers to control the Budget. CARACAS • Venezuela's Supreme Court has approved President Nicolas Maduro's "economic emergency" decree, setting up a showdown after the Venezuelan Congress rejected the measure last month. His decree includes wider executive powers to control the Budget, companies and the currency amid a severe economic crisis in the Opec nation. The new opposition-led National Assembly shot down the measure last month, saying it offered no real solutions to the worsening recession, shortages and inflation. The opposition has vowed to find a legal way to remove Mr Maduro, by resignation or referendum, by the middle of the year. FRANKFURT • European scientists have given up hope of restoring contact with space probe Philae, which successfully landed on a comet in a pinpoint operation, only to lose power because its solar-driven batteries were in the shade. The German Aerospace Centre (DLR) said yesterday it suspects Philae is now covered in dust and is too cold to operate. Philae project manager Stephan Ulamec said in a statement: "Unfortunately, the probability of Philae re-establishing contact with our team at the DLR Lander Control Centre is almost zero, and we will no longer be sending any commands."